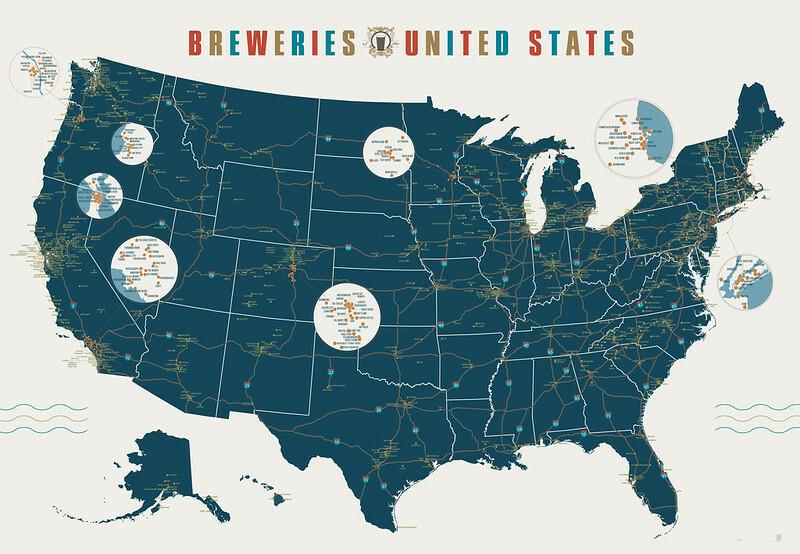 Today’s infographic is a map of breweries in the United States, though from when exactly I’m not quite sure. It was created by Pop Chart Labs and is version 1.1.
there are so many things wrong with this map. you have to question the thinking that put real “fake” Elizebeth Street Brewing as a dot but “forgot” Thirsty Bear, Beach Chalet, Magnolia and Social Kitchen. if it was because there was lack of room call it out like they did with the LOWER AREA which has 1/10th of the breweies.